Congratulations to Dr. Steven Ghan for receiving a 2017 Laboratory Director's Award for Individual Lifetime Achievement in Science and Technology from Pacific Northwest National Laboratory. The honor acknowledges Ghan's critical and internationally recognized lifetime contributions to climate science. His efforts have transformed the ability to simulate processes in the Earth's climate, and especially the role and representation of aerosol life cycle and cloud-aerosol interactions used in a wide range of climate models. Prestigious national and international organizations, journals, and fellow researchers have come to rely on Ghan's expertise. Ghan was a contributing author to three assessments by the Intergovernmental Panel on Climate Change, which was awarded the Nobel Peace Prize in 2007. 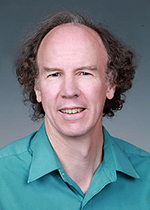 He has served on committees for the U.S. Department of Energy's Atmospheric System Research program and Atmospheric Radiation Measurement (ARM) Research Facility, and the National Science Foundation. From 2007 to 2016, Ghan worked as an editor—and eventually editor-in-chief—for the Journal of Geophysical Research: Atmospheres. He was also recognized as a highly cited researcher by Thomson Reuters in 2015 and by Clarivate Analytics in 2016. Ghan joined PNNL as a senior research scientist in 1990. He led the development of the first climate model in which clouds and aerosols interact, and with PNNL colleague Dr. L. Ruby Leung developed a novel representation of local elevation effects on climate. From 2007 to 2011, Ghan led PNNL's Aerosol Climate Initiative, which helped address important scientific questions related to aerosols and their effect on climate. In 2011, Ghan was named a PNNL Laboratory Fellow, a top honor in science and engineering given at the Laboratory.